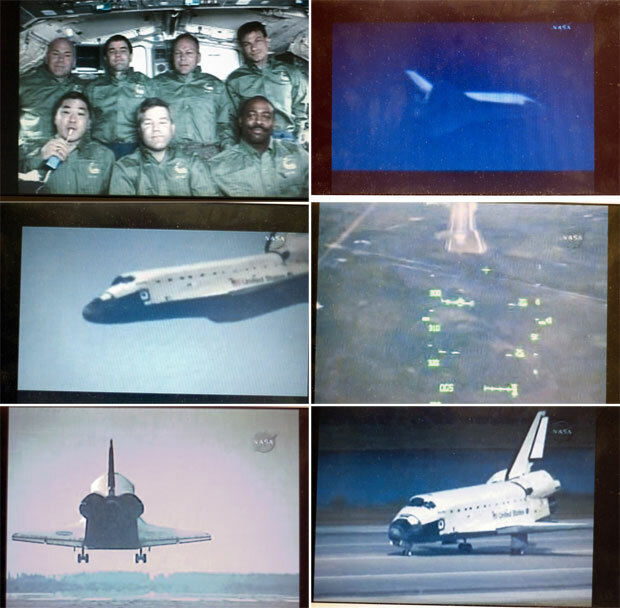 I watched the shuttle land live, on the Internet. Let me be the first to say, "Sweet Frickin' landing dudes." Like the Atlantis crew, under Commander Frick, I was once under the command of a Frick, a Col. Frick, commander of the 26th Marine Expeditionary Unit. He didn't speak much but he seemed like a pretty good guy. Like Frick, Frick was also a Naval Aviator. NASA's Frick flew Navy jets. Col. Frick, the one I knew, flew Marine helicopters. The two Fricks look similar, strong and short with small eyes.